New South Essays readers know I’m a fan of Southern singer/songwriter Kate Campbell, so when her 13th album “1000 Pound Machine” was released April 3, it wasn’t a stretch to predict a review was coming. 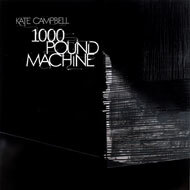 Kate Campbell at her "1000 pound machine"
I was intrigued by several twists on this album. 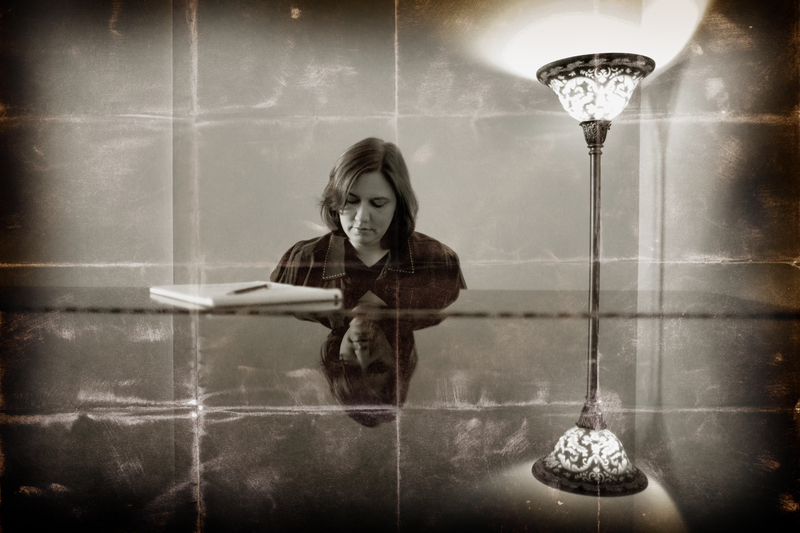 First, Campbell trades her customary acoustic guitar for a piano, the instrument of her training and youth. Second, she is joined by an all-star cast of musicians including Will Kimbrough, Spooner Oldham, David Hood, John Deaderick, Dave Jacques, David Henry, Paul Grifﬁth, Sloan Wainwright and Emmylou Harris. And third, no matter what instrument Campbell plays, her melodic storytelling always delivers. Even with high expectations, I was not disappointed. From the first track to the redux, Kate delivers soulful ballads, playful imaginary scenarios and spiritual depth that will unfold over many hours of listening. In case there’s any doubt that the album’s title refers to a piano, the title track “1000 Pound Machine” begins with a lesson of sorts on exactly how a piano makes music. Line by line, Campbell explains the technical details of making music on a piano, but song by song, the album restores the mystery by placing the emphasis on storytelling. The sound might be a little different, but the lyrics are classic Campbell. Each song tells a uniquely Southern story with beauty, grace and cleverness. She connects the South’s agricultural roots with a very modern quandary in “Wait for Another Day.” A farmer’s decision turns out to be a universal challenge faced by procrastinators everywhere. Campbell then takes us on a bus ride across Alabama in “Montgomery to Mobile,” imagining George C. Wallace and Rosa Parks seated next to each other. The excited-to-travel child in all of us is transported down the flat stretches of road flanked by cotton fields and pine trees, and the idealist in all of us is given some reason to hope that human beings can overcome their differences and connect on deeper levels. “Spoonerville” is a tribute to legendary musician Spooner Oldham, who returns to play with Campbell again on this album. The lyric “Don’t you know, you gotta have soul if you want to rock and roll” speaks to Oldham’s approach and what he has brought to Campbell’s previous work. Haunting and beautiful, “The Occasional Wailer” is an instrumental that sounds as if it has blown in from the Celtic isles. In the bluesy ballad “Alabama Department of Corrections Meditation Blues,” Campbell’s adopted persona laments the circumstances and character traits that led to his incarceration. But ultimately the song is about redemption and being born again. Campbell seems to be asserting that freedom is a function of the spirit and not physical space, and Emmylou Harris’ vocals add a richness that drives home the point with emotional power. “I Will Be Your Rest” has a message we can all afford to soak in from time to time, with a warm and full sound. The song envelops you like a hug from God. Next time you are feeling down and out, a good dose of this song will bring comfort and maybe a few tears. “God Bless You, Arthur Blessitt” tells the true story of the fellow who carried a cross around the world. Rather than focus on those elements of Blessitt’s journey that would strike people as fanatical, Campbell poetically congratulates him for his commitment, perseverance and sense of direction. “Walk With Me” has a Hammond organ to complement the thousand-pound machine in this song that updates a hymn with compelling emotion and earnest pleading. None of us want to walk this “tedious journey” alone. The album ends with a reprise of “1000 Pound Machine” that, absent the lyrics, reiterates the piano theme and injects some of the Hammond and an undertone of another piano that intertwines with the dominant melody like two playful swans floating on a still lake. The final song is “1000 Pound Machine Redux.” Each version plays with sound in different ways, but what all of the versions capture is a sense that life carries on amid playful and sometimes fearful distractions. You can read your own emotional state into the stanzas, and I think I could hear something different in it if I listened to it a thousand times. This entry was posted in Uncategorized and tagged "Alabama Department of Corrections Meditation Blues", "I will be your rest", "Montgomery to Mobile", "Spoonerville", "The Occasional Wailer", "Wait for another day", "Walk with me", 1000 pound machine, acoustic guitar, Alabama, Arthur Blessitt, contemporary South, country music, Dave Jacques, David Henry, David Hood, Emmylou Harris, George C. Wallace, Hammond organ, John Deaderick, Kate Campbell, Lance Elliott Wallace, Lance Wallace, music review, New South, New South Essays, NewSouth, Paul Griffith, piano, red clay, Rosa Parks, singer, Sloan Wainwright, songwriter, South, Southern, Southern Culture, Southern Living, Southern music, Southerners, Spooner Oldham, the South, Will Kimbrough. Bookmark the permalink.